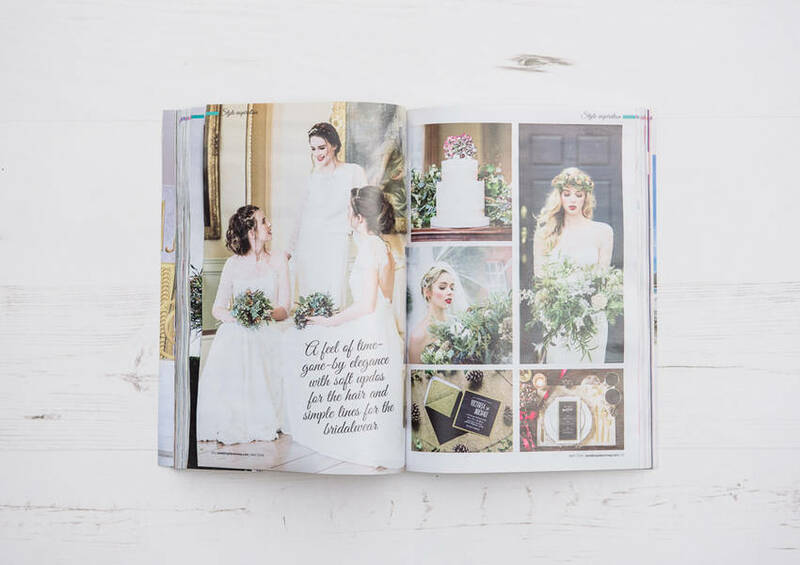 As a wedding photographer with an editorial background I was ridiculously excited to shoot a sumptuous styled shoot at Stubton Hall last summer, featuring the work some truly talented ladies local to the East Midlands. Teaming up with the talents of Stamford Bridal Rooms, Pollen Designs, Emily Harmston Cakes, Elle is for Love, Christiana Lazzarotto Makeup and Alison Jenner Hair, we set out to create a photoshoot which would inspire couples planning a romantic yet modern wedding, something a little different from the ever-popular vintage style. We wanted to create a look inspired by indulgent love and romance, something with high impact with lots of drama. We chose to focus on shades of pastel pink and ivory, trimmed with black to create an extravagant yet classic look. We hope you enjoy browsing through our work! Our shoot was also featured on the amazing wedding style blog B.Loved – a great blog to sneak a look at the latest wedding trends!